"Pride in Craftsmanship" - It's not just a catchphrase, it's what we do. 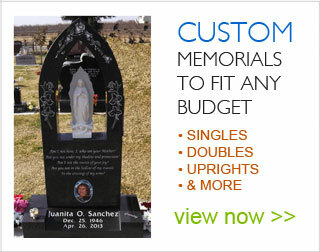 Whether creating customized memorials for families or public or civic groups, we strive to honor important people, places and things with unique expressions, coupled with the creative efforts of our team using the highest quality materials. We are dedicated to delivering a final product that is perfect, and for you to feel that that you were cared for and valued during the process. This is the essence of what the monument industry represents. 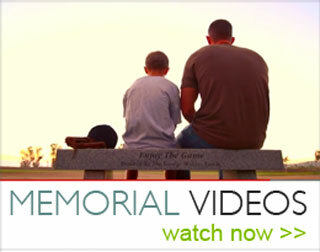 At Bell Memorials and Granite Works it is our honor to assist you, whether your ideas are simple or elaborate. Paying tribute with a granite, bronze, or engraved boulder memorial is a perfect way to say "we love you" and "thank you". When you think about it, this monument will live on, telling a story for generations upon generations! Oftentimes, a family will come to us thinking they want a "marker", but after working with our artist, they end up creating a "memorial". Whether you are ready to create, or are just gathering information, one of our designers will meet with you personally to walk you through the process. Additionally, we work with commercial clients and civic groups to capture and carve their important messages into permanent monuments. We incorporate the latest technology with traditional craftsmanship to create beautiful tributes and signage.